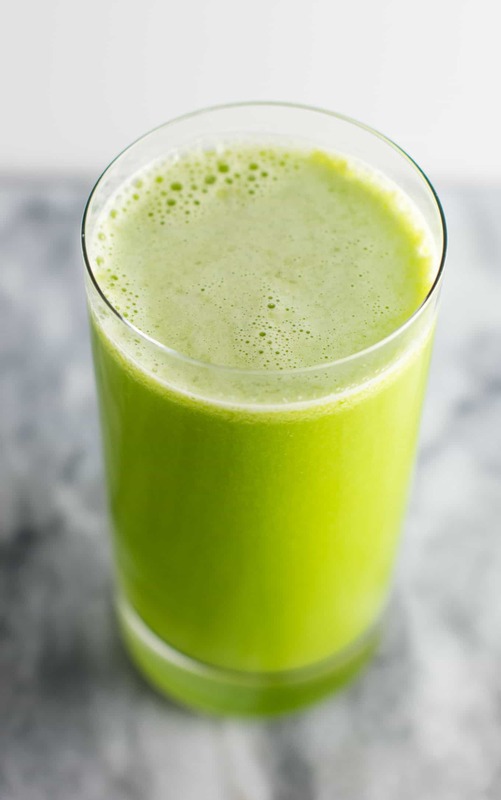 Green juice is one of my favorite things to drink first thing in the morning. While I usually enjoy a darker juice with lots of carrots, sometimes I can feel my body needing more fresh greens. 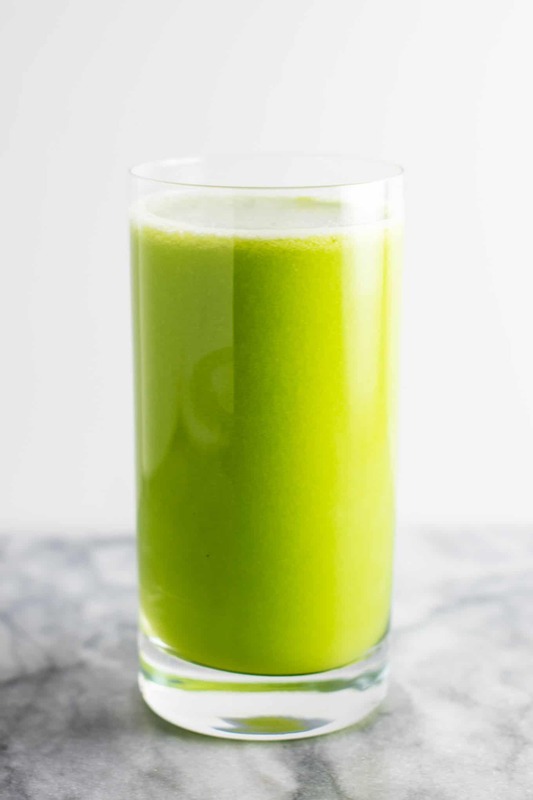 This romaine green juice recipe is packed full of so many nutrients! Juicing first thing in the morning makes me feel amazing. It gives me so much energy and I love it! My goal is to juice more often because the health benefits that I see almost immediately are just crazy. Juicing does a body good! For this recipe, I used hearts of romaine, celery, cucumbers, apples, and half a lemon. Wash your romaine and cut the ends off of each one. Wash the celery and cut off the end. For the apples, just use a knife or an apple corer to remove the core. Apple seeds are toxic when ingested, so be sure not to just juice the apple whole. For best taste, use a knife to cut the peel from your lemon before juicing. Otherwise it will taste strongly of lemon peel. I learned this the hard way! 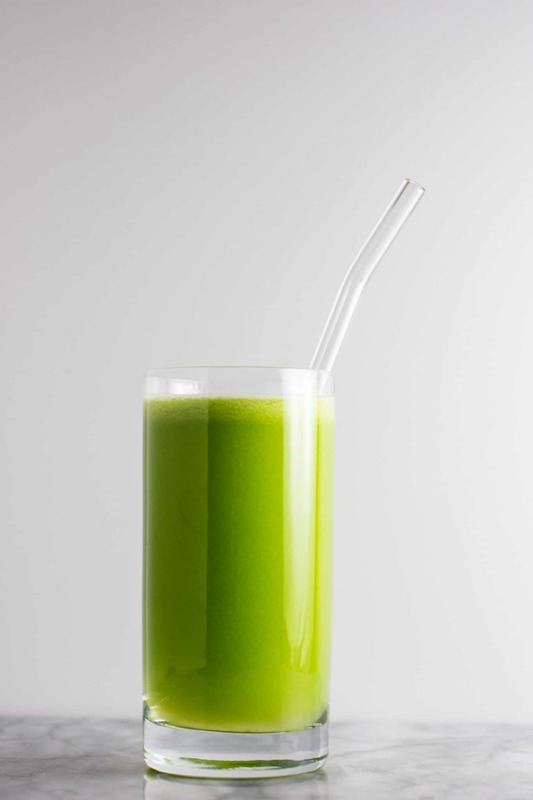 The apples and lemon help tame the flavor of the juice so that it is no so overpowering. 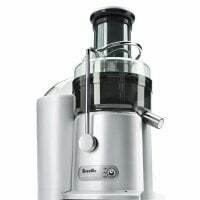 I use this juicer and I love it. I have had it for years and it works as good as new. I highly recommend it if you’re starting out juicing! It is easy to clean, and simple to use. I have definitely got my money’s worth out of it and it is still going strong! 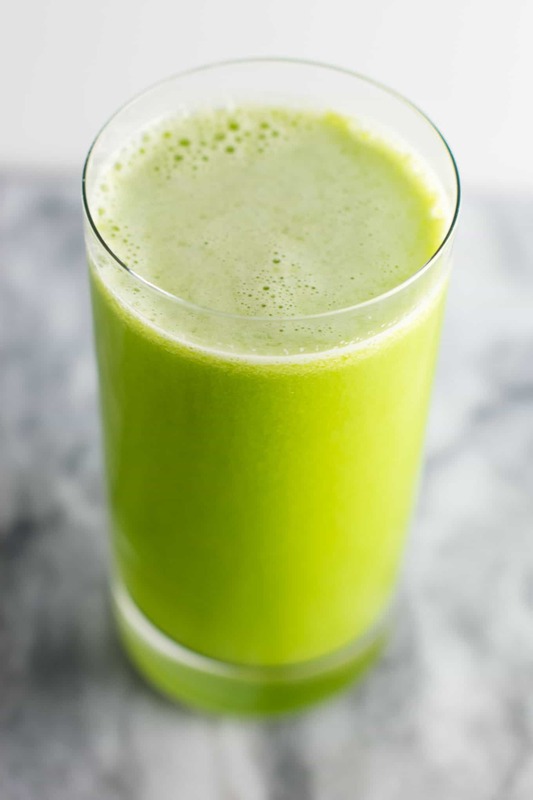 This recipe is great for anyone that is new to juicing! If you’re looking to get healthier, juicing is a great place to start. Juicing has so many health benefits and will make you feel amazing. Citrus is great for cleansing the body, and it is also great for helping with bloating. I love the fresh taste of lemon in my juice, but it is important not to use too much, as it can become overpowering quickly. When I first started out juicing, I used apples to sweeten pretty much every juice. I don’t usually use them as much now, and get my sweetness from carrots for the most part. However, apples are a great addition to this juice. Once you have been juicing for awhile you might find yourself being able to handle stronger juices with less sweet in them. That was the case for me! Eventually I got to the point of needing little to no sweet in my juice recipes. When I was a teenager I was juicing every single day. I miss it! I would make a huge juice every morning in place of coffee. It gave me crazy energy and made me feel amazing. Now that life has gotten busier, I do not juice as much and do more smoothies. But every time I do juice I notice the difference in how I feel! I have worked myself up to being able to handle large quantities of juice, so I rarely make less than 20 ounces. This juice was made around 50 ounces. I was so excited to drink it because I feel so amazing after I drink fresh juice. I love how energized and alive I feel after I drink juice. You will understand what I mean once you try it for the first time. If you’re just starting out juicing, I would recommend halving this recipe or simply using : 1 heart romaine, 1 apple, 1 cucumber, 1/8 lemon. 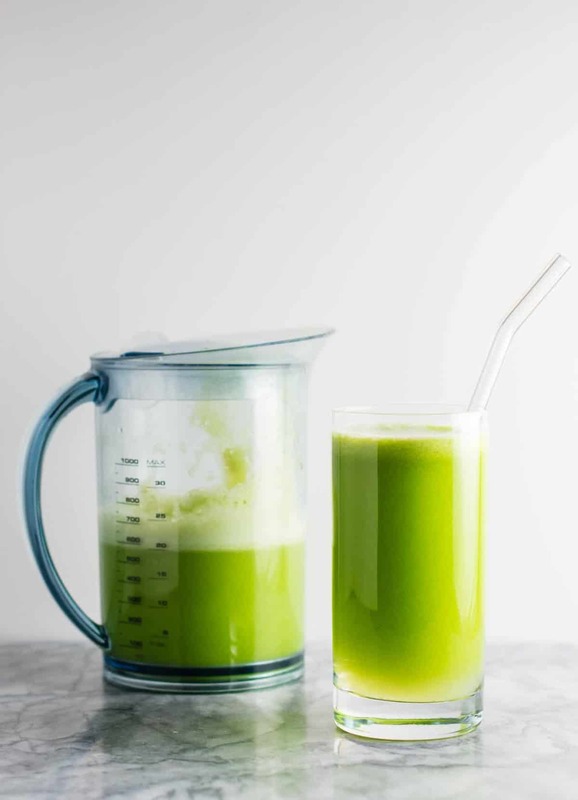 Juice loses nutritional value after it is processed, so it is important to drink your juice immediately (ideally on an empty stomach), or if necessary, store in an airtight container (such as a mason jar) and drink within 24 hours. When I know I won’t have time to make juice in the morning I will make it the night before and put it in a mason jar with the lid sealed tight. If you don’t have a mason jar, you can put the juice in a cup with press and seal wrap over the top. The juice will separate overnight, so just stir before drinking the next morning. 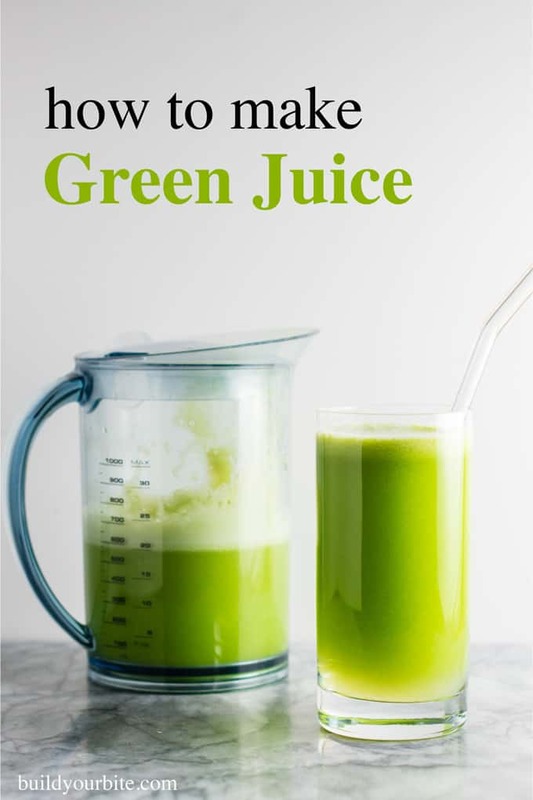 If you’re new to juicing, this is a great easy juicing recipe for you to try. After a week or so of regular juicing you will start to crave it! I love the way I feel when I’m juicing regularly and notice a difference when I’m not. Let me know if you try this recipe what you think! Looking for more drinks to improve your health? Try these delicious recipes! This post contains an affiliate link for the juicer that I use. I have had it for years and love it! 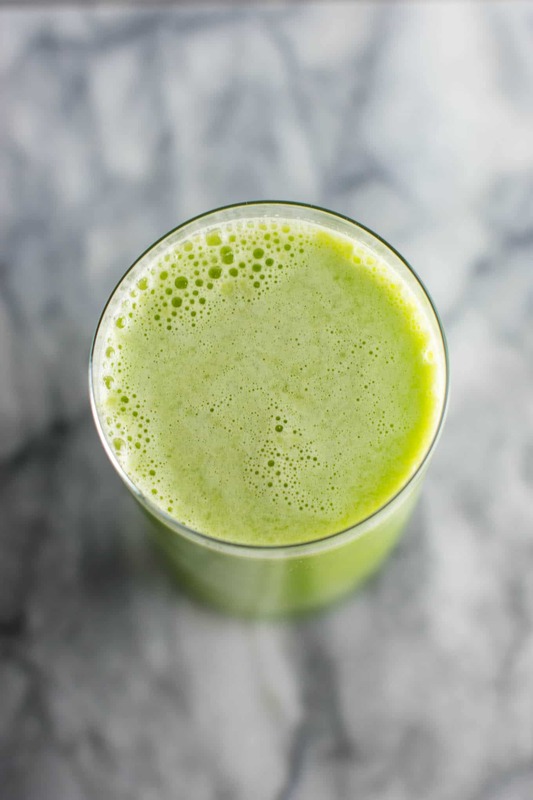 Easy cleansing green juice recipe with cucumbers, romaine, apples, celery, and lemon.